This past Friday we went shopping during Black Friday. I've gone out before but this year we went all out. Looking back, I'm already getting tired just thinking about it! For the past few weeks leading up to Thanksgiving, I've been planning my trip and circling items that either Nate or I wanted or things that the girls wanted. I was planning on going with a friend of mine but plans changed at the last minute and I decided to go with Nate. I was getting so consumed with not getting all the things on my list that I thought that 4 hands were better than 2! Call me greedy if you want but I was trying to save myself some money and trips to the store. I asked my mom if the kids could sleep over on Thanksgiving night and then I would pick them up around 8AM the next day. I told her that we would get them in bed at her place and once they were asleep we would head off to Toys R Us. We got to "Toys" at 10PM and immediately after pulling in the driveway knew we had problems! They opened at midnight and when we got there, the main parking lot was completely full! We parked on the side parking lot and made a mad dash to the "line". When we got there I felt this surge of energy to only have my bubble busted with the onset of the rain. That's right...rain. Nate and I stood in the rain for two hours while Nate promised that he would never do this again. All in all, it wasn't that bad...minus the wet shoes, cramping legs and frozen nose. We talked with those around us and laughed at people getting in the line that started to go across the front of Costco's. It was really starting to get humorous that people were actually getting in line when there were more than 500 people in line. If it were me and saw this many people I would make a mad dash to my bed! Nate and I were probably one of the first 100 people so we didn't feel like it was hopeless. There were a few cars that choose to wait in the line with mobs of people inside them. It was quite funny that they thought of it. Even though we all laughed at them we secretly knew that it was a great idea and wished we thought of it first! My brother and his wife were about 30 yards in front of us but I never once saw them. Nate went up to chat but I wanted to secure our place in the "line"! Once we were inside, it was absolutely crazy. The aisles were full of carts...3 carts wide, mind you. No one was moving, except to do a little dance to keep their toes warm in their shoes! We had gotten in two lines before we found the correct line to check out. It was kind of fun to hear other people stories of what they got and how they got them. Once we were out, Nate and I were kind of happy that we had a few hours before Wal-Mart opened...or so we thought. We headed to Wal-Mart on 23 and I told Nate that I wanted to run in to check out some prices. Once in, I found out that lines were already starting to form. I ran out and told Nate to come get me in an hour. I thought he could sleep and then I could go out and sleep. That plan worked out until Nate came and found me 30 minutes later telling me that they had some really good deals. He decided to walk around the store instead of sleeping. So, here it was 1:30 and the deals don't go into effect until 5am. That's 3 1/2 hours people!! I walked around a little, while Nate stood in our GPS line, to get a few extra deals. I was able to break threw some of the boxes to get jammies and a few other "gifts". I felt like such a bad person for breaking into the "sales" early but if other people were doing it, so was I! After a few dozen people did it ahead of me I started not to feel so bad! It gives you quite the high!! Hours later it was time to grab our GPS and check out. At this point, everything hurt...I mean everything! The only thing we could think about was getting home and going to bed. We walked out at 5:10am and headed home...very happy at all of our savings! We got home a little after 5:30 and headed to bed. I didn't get too comfy because I knew I had to go get the kids at 7:30. Yes, it came all too quick...I really didn't want to hear the alarm after only getting 2 hours of sleep. But I reluctantly got up! After getting the kids, we headed to Tim Horton's and then to Target. Two bad ideas in a row! #1: Taking the kids shopping AND #2 Taking the kids shopping at TARGET! The only cart that was left was one of those train carts that was about the length of a limo. Have you ever tried to maneuver one of those things, let alone on Black Friday? At one point, I asked the kids if they cold get out and walk and the answer was of course, "NO!". After running into at least 2 dozen people, hearing Ana crying to get outta there, Aiva singing Jingle Bells at least 100 times...it was time to leave. I grabbed my items that I wanted to purchase and headed to the check out line. I could hardly believe that I was going to actually check out something but I wasn't making this trip empty handed! With both girls crying and me about ready to drop dead due to lack of sleep I handed my credit card to the lady and begged her to help me out to the car. She kind of laughed at me and I could tell that what went through her mind was, "Yeah lady, I'll help you out to your car if you help me to mine! "Needless to say, I had to head to the car in my four foot limo with kids whaling and me about ready to lose it...literally. I know know how people feel who are mentally insane...maybe not totally but I was getting a pretty good idea! Inside the car, I swore that I would never do that again. It was finally time to head home! Yeah...I could finally get some much needed rest...or so I thought! The girls were ready to do something...they didn't know what they wanted to do but they wanted to do something! At 11AM, I finally had enough so I laid Ana on the couch, Aiva sat with me in the recliner and I turned the TV off covered us all with blankets and everyone drifted off to sleep! Thanks God! I woke Nate up at 1:30 and it was finally time for me to go to bed :) I was a very happy girl until I heard the girls fighting at 5 which prompted me to get up and head back to Target...yes, you heard me right. I went back to Target to finish up my shopping. Am I crazy...or am I crazy?? All in all, it was a great day and one that I will have many funny memories from. At least now we can sit back and laugh at ourselves. What we do for Christmas savings though :) Sorry this is such a long post but I had to include everything. If you're still reading, thanks for sticking with me and hope you got a good laugh! If you braved the lines on Black Friday hope you had some luck...and some good memories as well! After my last post about painting it got me thinking about how much I really do love to do it. There's something about how relaxing it is. I remember laughing with friends about when we were painting at "Color Your World" that not one of us were talking while painting b/c we were so in to what we were painting. You get so focused and in tune with what you are painting that you zone everything else out...at least I do! I'm feeling the itch to go paint something after talking about it. Until then, here are some pictures of Aiva & Ana's room when we lived on Green Cook. I loved their blue room! This was before we painted the ceiling so bare with the blue on the white ceiling and baseboards! I had so much fun!! 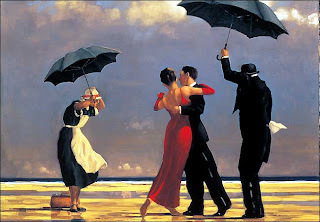 #1 is a painting of the "Singing Butler". I have eyed this painting for the past two years and I can't stop thinking that this painting so much portraits the past few years for Nate and I. I saw it at JoAnn's a few months back and told myself that when I got paid that I was going to go and get it. Unfortunately when I went to get it, it was gone. Hopefully Santa Nate might surprise me! 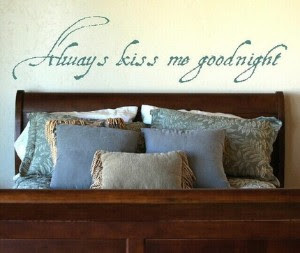 #2 "Always Kiss Me Goodnight" wall applique. When we lived on Green Cook, I painted and stenciled words everywhere. It was so much fun and adds a lot of character to a room. I've wanted to paint above our bed for a long time "Always Kiss Me Goodnight" but when I found this applique I thought that this would perfect and would save me the work of painting. #3 A book rack where I can put all my magazines and books. 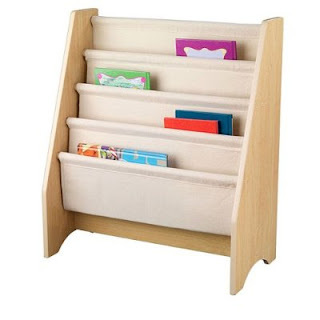 Since we've moved to a smaller place I've run out of room on my bookshelves and actually Aiva has taken up a few with all of her books so I wold love to have a cute little book rack for to store and possibly decorate later. 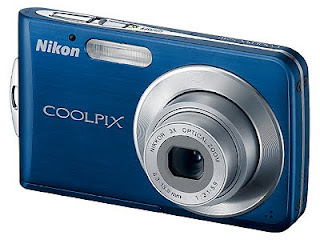 #4 A CoolPix Camera would certainly come in handy since I can just throw it in my purse and not have it be as bulky as our other camera. Our current camera is small but it's fat. With this slimmer design it would be perfect. Since we got a Wii this is very low on the list but my birthday is coming up in January!! #5 A few spools of some fun yarn. I've been doing some crocheting and I love making scarves. It is so much fun to see your final creation and see it start out as a spool and end as something that you can actually wear and use! 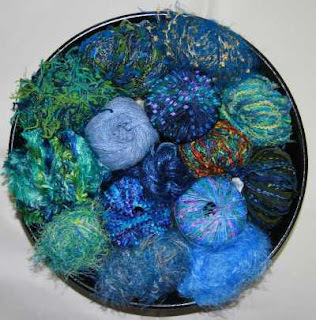 I get so much joy from going over to JoAnn's and seeing and feeling all the spools of yarn! It's it so fun! So what's on your wish list this year?? Do you have big dreams or little dreams?? Ask Santa...he just might surprise ya! You heard it hear folks...I believe Ana is about potty trained. I use the "about" because we're not 100% at night but we're getting closer. I guess I'm just so overjoyed because Aiva was about 4 1/2 when she was finally potty trained both day and night. Ana just turned three, so that's practically a year and a half with less diapers than Aiva. Hallelujah, praise God, thank you Jesus! When I think about it though I'm just speechless how with one daughter it took so long and Ana was pretty much bursting to be done with diapers. There is truly so much that 's different about both of my girls. I'm almost scared of what's to come in the teen years. I don't want to think too far ahead but I think I see clouds off in the distance!! If they have knock down drag out fights now, what's to come in the future. It is so exciting to see them growing and turning into their own person though. Sometimes I just sit back and watch as they play or read. It's amazing to me that at one time I was rocking these two in my arms and now I'm watching them read and play by themselves. I just got done reading a friends blog about growing and she really brings the cookies to the first shelf. You can read it yourself here. Her list of 10 things about growing really makes you wrap your head around what it means to grow - the good and the bad! I guess I can kind of relate to her blog because we've had a little issue with scissors and the girls wanting to cut their own hair - a lot! I need to remind myself that, like a bad hair cut, you do something once (or possibly twice) and you learn never to do that again - somewhat like a perm :) Even though we may have learned our lesson the hard way, God has a way of shining light on our situation and turning bad to good. I grew a little yesterday with a situation that happened with Aiva. It was somewhat of a cleaning weekend for our family and the girls were helping me with little projects and moving furniture from one room to another. They both love when we redecorate, Aiva more so than Ana. I have this rocking chair in Nate's and my room that tends to collect clothes and it was my intention to pitch it so we wouldn't have that problem anymore. When I was brainstorming how to layout our master bedroom and had mentioned getting rid of the chair, Aiva asked if she could have it. Puzzled, I asked her why. She asked if that was the chair that I used to rock her and Ana when they were babies (she of course knew this but wanted me to confirm, just to be sure). I answered, that yes, this was the rocking chair that I spent many hours nursing, rocking them to sleep and kissing away the boo boo's. She told me that we needed to keep the chair "because it has a lot of love in it" and she wanted to keep it so she can rock her babies and "give them a lot of love too." The smile that she gave me when she said that about melted my heart. At some times though, when I sat in that chair through the years, my thoughts weren't very loving. Sometimes I was thinking about getting the baby to go back to bed so I can catch some more sleep myself. Sometimes I thought about the chores that I needed to get to but instead had to console a tearful little girl. That's not what Aiva saw or felt though when she was either with me in that chair or saw me and Ana in that chair. All she saw was love. She does see and hear everything that I do or say. I've known this but yesterday it just confirmed it. After that little conversation about how that chair holds a lot of love, we moved it into her room so she can in turn give out a lot of love. Aiva has no idea but she was actually the teacher yesterday. Sometimes God likes to reverse the roles to get our attention. Yesterday was one of those days...it wasn't the first and I'm sure it won't be the last! This has been a year of milestones for both girls and it seems that time is slipping through my fingertips like sand on the beach. On Monday, I went to Aiva's school for her first real parent teacher conference. I have been so nervous leading up to this and I wasn't sure why. I don't know if it was the thoughts rushing into my head about what this teacher thought of my sweet baby girl or just the unknown of what she might say about Aiva's words and actions in class. Kids act so differently in school than what they do at home so it was no surprise when she said that Aiva is a piece of cake. It was almost music to my ears! I mainly wanted to find out if Aiva was adjusting OK. Aiva is a very quiet shy little girl when she's out in public but when she's in the house she's a ball of energy. Going to school at BWE was something that was completely new. New place, new faces, new bus...everything new. I was so concerned that that she wouldn't have me there to be the spatula! I always think of Aiva as chocolate and everyone else as vanilla and sometimes she needs me there to whip the two together. I'm very thankful that God took care of that and he took over my spatula role! The teacher confirmed that Aiva is doing just fine and she's adjusting quite well. She befriended a few of the other girls in class and according to the teacher, she's very helpful. It was so fun to see Aiva at trick-or-treating and running up to friends from school to say hi. It just melted my heart. My baby girl is blossoming into quite the young lady...God's doing some good work with the spatula! So the first parent teacher conference is over and now we're on to writing and reading. It's hard to believe that she can really be doing some of this stuff. Does she really have to grow up this quick? 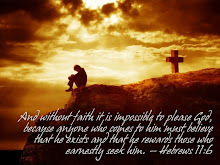 Prepare my heart, Lord, for what's to come!